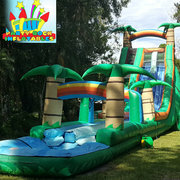 Our 27' Tropical 2 Lane water slide with slip n slide features an insane angle that's sure to get the adrenaline pumping as riders scream down this tropical slide. When the downward angle ends you continue sliding 30' on the slip n slide to a splash pool! 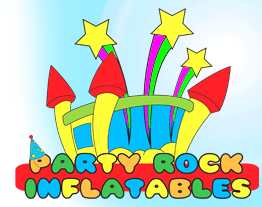 This is a party rocker! !